what if i wanted to book for 6 people? Buy three 2 people tickets? I wonder would this cafe still be in Akihabara in September, my friend and me love Final Fantasy and we would love to go to this cafe if it is still there. Is it true that we need to collect the ticket from Lawson within 3 days of the reservation? I will only be in Tokyo next month, so I won't be able to collect it that soon. Can you please help to advise? Thanks. It looks like it! Thanks for that info! Hi! Just a quick question! Information : If you've paid with a credit card. What if I want to pay when I collect the tickets? Does anyone know if there is a way for the tickets to be held longer? I'm trying to book a ticket for 2 sometime around the 24/25th September but won't be in Japan until the 13th September. Going by this will I have to pray for empty space and book once I am in Japan? Thanks for the very awesome guide. I was looking all over the internet for this guide. It is a bummer that we have to pick up the tickets from Lawsons after 10 days when reserving with credit card. I was hoping to reserve the tickets a month in advance, but pick up when I arrive in Tokyo. Can we pick up from any Lawsons? We've just made a reservation so we have he last screenshots of the reservation process. Is there any way to send them to you? Hi! Just wanna ask, did you pay by credit card or over the counter option? And how many days from the time of booking did you pick up your tickets from Lawson? Will be going to Japan next week (Oct 27) and I wanted to go to this cafe on October 28. I want to know if it's possible for me to book now and pick up on the 27th of October. Ahh shoot I'm sorry somehow I never noticed this?! If you still have them then yes, please! You could send them to rachelandjunbusiness@gmail.com! Once we got to the lawson shop we almost give up retrieving the ticket. The ticket machine has instructions in english but it does not guide you step by step. Lucky us we showed the printed confirmation mail to the clerk and with some signals and a few words we managed to print the tickets. Super helpful guide!!! Thanks so much!! Been a fan of FF since 1991....so this was a real godsend of a guide! Oh, this is a really cool looking restaurant. Do you have a Blogger follower button? So I didn't realize I had to pick up my tickets within 3 days of booking. I made reservations for Dec 24th at 430 because we arrive the 22nd. Is there any way I can cancel the reservations I've made or do I just try again when I actually get to Japan? Extremely helpful tutorial. Thank you so much! 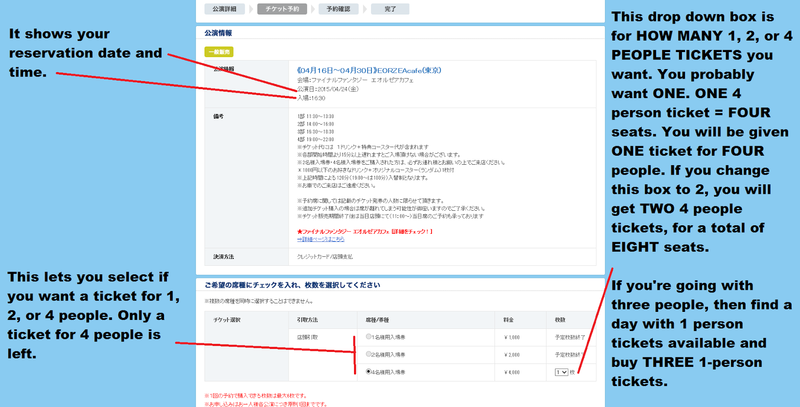 The site now only takes Japanese credit cards I think. We found that out after arriving in Tokyo and trying to reserve online. There is an option to pay at the counter, but our Japanese wasn't good enough to know what that option meant - pay at a Lawson's or pay at the cafe. We ended up reserving at a Loppi Machine in a Lawson's. Lawson's convenience stores are everywhere. Just make sure you go to a Lawon's Station and not the smaller grocery store kind. 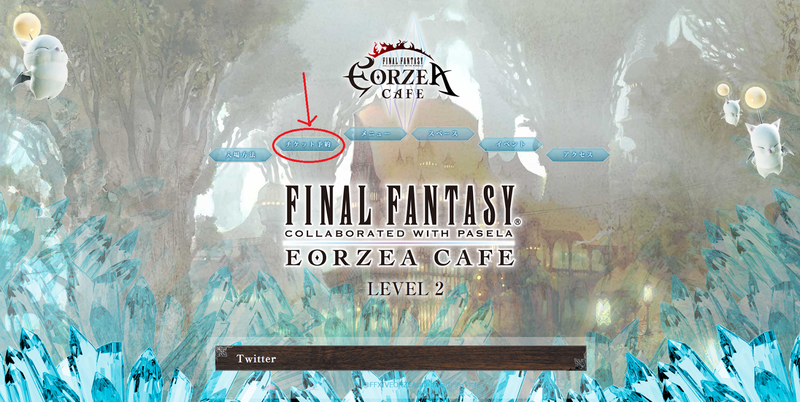 We used this tutorial: https://www.youtube.com/watch?v=_2jRryAgkNE With that and this blog's tutorial, we were able to figure out the options for Eorzea Cafe. The 5-digit code that you need for the Cafe is on the page that looks like screenshot number 4 on this blog post. It's the number above the button you would click for the date range you want. The only thing that tripped us up momentarily was that you have to put a space between your first name and last name on the screen that asks for your name. Otherwise, it displays an error message. There are two fields. We think that the first is for how your name is written and the second is for how it is said. Both fields require your first and last name. What you put in there actually doesn't matter. You just have to make sure there are two words in each field. Once you're done, the machine prints out a ticket that you take to the cashier. There, you can pay for it in yen. We reserved on a Monday and got space for three 1-person tickets on a Thursday (today as of this writing :D). Like everything in Tokyo, weekends are super busy. Definitely leave a weekday open for this. This may help me. Thanks! 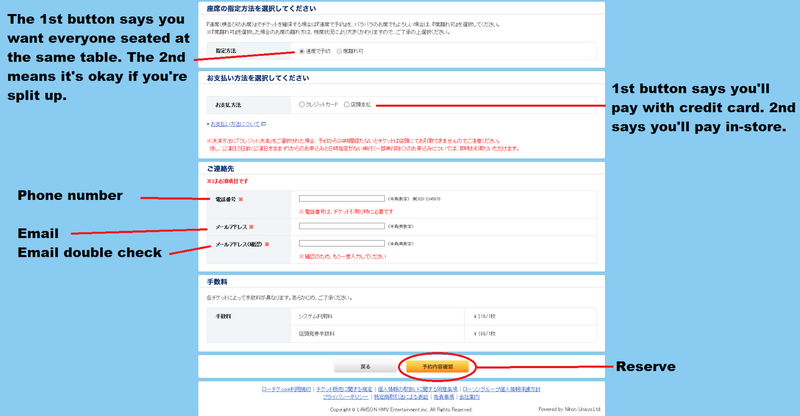 It is still possible to make a reservation online without a Lawson account? I'm going to the one in Yokohama on August 15th. I think I made a reservation but I can't be sure because the confirmation email never got sent to me but I did get a reservation number, which I wrote down. 1) What information will the loppi machine require? I have the reservation confirmation number and can obviously provide the phone number that I used at the time of reserving online. 2) What does this mean, "Ticket take-up deadline: reservation completion after 07 May 28, 2016 (Thursday) until 23:00?" It was translated by google... I hope I don't fail to pick up my tickets in time because I won't be in Japan until August 11th. Brian, I don't have an answer for you, but I am having a similar problem about being in Japan in time to pick up my tickets. So Im trying to book for August the 4th ( I arrive in Japan August 3) and I got the email confirmation via mobile. ※ Please note: If the take-up deadline date is the day of the performance, pick up your tickets will be up to curtain time. 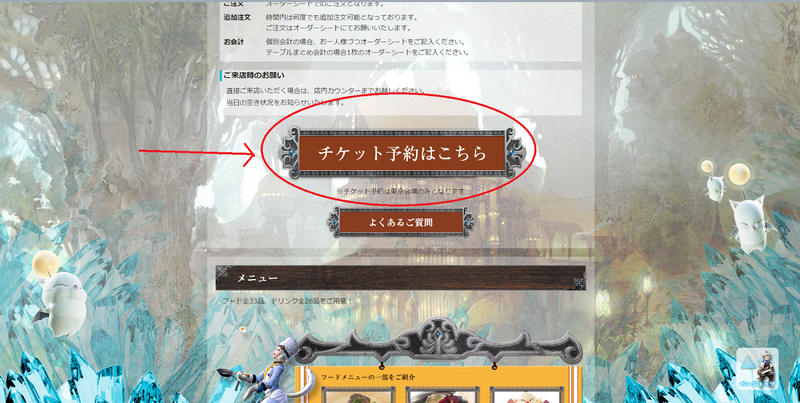 Please note that you can not pick you and past the curtain time. " It looks like I have to be in Japan by July the 29th to pick up my tickets. That's not happening. So I think you and I have to book our reservations 4 days prior to the time we want to be there. How to get confirmation email: When you are booking, make sure your browser has google translate and when it asks you to enter your MOBILE email, type it in. For some reason I can only get reservation emails via my iPhone and not via gmail website. Ugh. I hope this is informative for you. The struggle is real. Hi guys! I have a quick question: I've reserved 4 tickets that I should get by tomorrow, but I won't be in Japan until Monday. I was thinking to make another reservation Friday, but how do I cancel this reservation? Or should I just wait for the reservation to expire and make another one? Or is there a solution for me to extend my reservation? Thank you all! Hello! Would you mind sharing what you did? I have a similar problem to yours and I'm not sure what to do. Is it possible to reserve tickets for someone else to pick up while out in Tokyo? I have a friend going there in october and it's his birthday so fancied surprising him with a trip to the cafe. This software is specifically designed to make life easy and to prevent a business from losing clients due to errors. There is software that can be adapted to any type of business. It can be used by environments as diverse as engineering, medical and creative. Hello! Thanks for the really helpful post! Is it possible for me to book a reservation and have a friend in Japan pick the ticket up? Thanks. Hi! 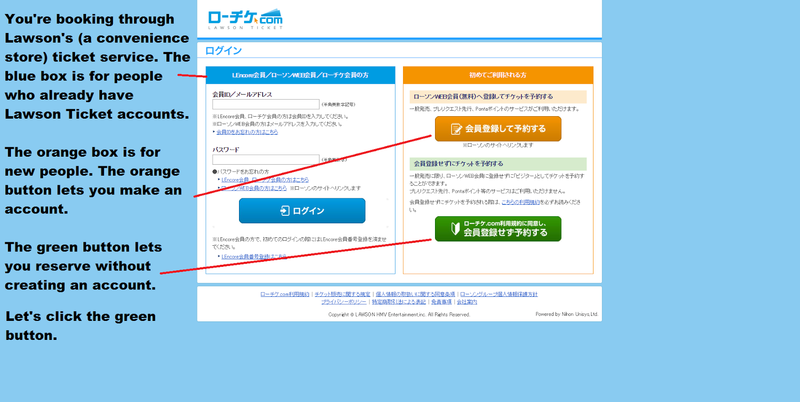 I'm having a hard time, because now they require you to get a Ponta card and it requires you to have a Japanese address. Is there another way around this that I don't know about? Thanks a lot Rachel and Jun! I bought for 11/16 btw! These type of reservations are used for some music concerts stuff or something like that ? Hi, just wondering if anyone else received the error message saying you cannot purchase tickets in your "Environment" I'm assuming it means because I am in England I can't process the payment :-( if anyone knows how to get around this loophole without going through a stupidly expensive tourist website who charge stupid amounts for the tickets that would be great! Hello I'm here at Japan and made a reservation for eorza cafe 2 days ago and now me and my friends are planning to go to Osaka and might be back in the afternoon of the day I booked at the cafe which is 11:30am. So my question is can I still rereserve my reservation from them? I purchased it with credit card without an acc. And still haven't picked up my ticket from Lawson. If anyone knows pls let me know my book is on June 15 2 days from now. Hi, how do I book for 7 ppl?